Pico Mountain is one of nine volcanic islands that make up the Azores archipelago. Its size, however, sets it apart: at nearly 8,000 feet, it’s the highest mountain in the Atlantic and more than twice the elevation of neighboring peaks. To hike to the top is to enter an entirely new world, up in the clouds. 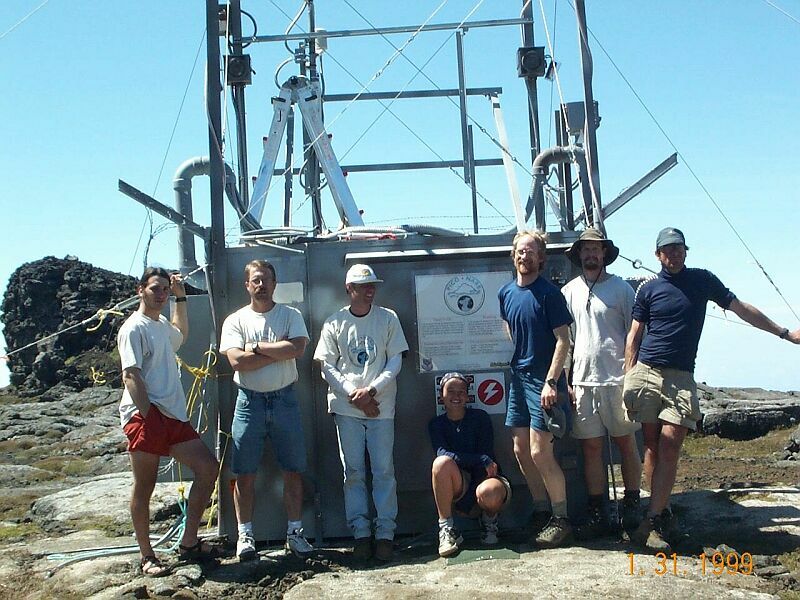 The Pico Mountain Observatory was founded thirteen years ago by a collaboration headed by Michigan Tech’s Richard Honrath, a former professor in the Department of Geological and Mining Engineering and Sciences. 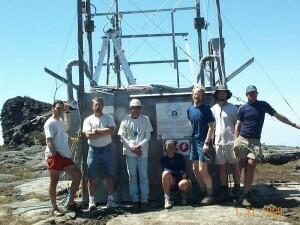 His specialty was atmospheric sciences, and he used the observatory for the study of trace gases. Honrath passed away in 2009, but Tech researchers maintained the lead research role at Pico, shifting focus from trace gases to aerosols. Their goal is to trace the path and origin, as well as study the shape, color, and water content of particles. Pico is an ideal spot to conduct such research. Air near the ocean’s surface contains churned-up particles: decaying marine life and local emissions. But rise above the boundary layer—the point where the dense air near the ocean’s surface gives way to the thinner air at altitude—and you’ll experience a visible separation from the opaque layer below. The air at this height is clearer, and aerosol particles that inhabit it often come from much further away—sometimes thousands of miles. The site is influenced by both the jet stream and trade winds, thus particles can come from either southeast or west depending on weather patterns. Pico Mountain’s high altitude means researchers can study older aerosols and—thanks to computer models—back trace them to their source. Researchers have found particles rich in iron oxides from the Sahara, and they frequently see soot particles from wildfires that can be traced back more than a week to western North America. In addition to the research, Mazzoleni strives to cultivate awareness through public education. This past year, grant funds sponsored Lorentyna Harkness, a certified science teacher and Michigan Tech graduate student, in her development of online videos and other outreach materials to illustrate the importance of climate study and the opportunities for learning provided by Pico Mountain. Click here for the Research Magazine Story.